Four of Scotland’s famed dishes have been featured within Premier Inn’s ultimate food tour of the UK. 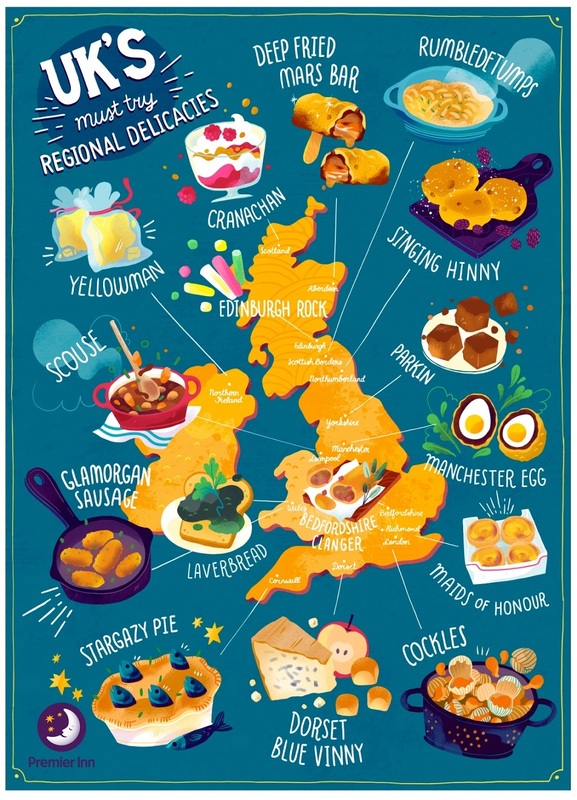 The tour has been compiled by Premier Inn in order to encourage the nation to sample the delicious tastes and flavours across the UK, placing the spotlight on 16 of the most famous and, in some cases, most peculiar regional staples available in the UK. Cranachan, Edinburgh Rock, Rumbledethumps and the Deep Fried Mars Bar feature in the Ultimate Foodie Tour of the UK. When you think of traditional British cuisine, you may struggle to list more than classics such as fish and chips or a hearty full English. However, the UK is actually home to a wealth of wonderful and unique delicacies, some of which may surprise you. In order to encourage the nation to sample the delicious tastes and flavours of England, Wales, Northern Ireland and Scotland, Premier Inn has created the ultimate foodie tour of the UK. While not all of these dishes will appeal to everyone’s taste buds, the tour places the spotlight on some of the most famous and, in some cases, most peculiar regional staples across the British Isles. The map plots out the best locations and eateries for sampling each dish. Not for the faint hearted, the route would take just short of 42 hours to complete by car, so a few overnight stays to sleep off the indulgence may be in order. Boasting one of the strangest names on the list and originating from the Scottish Borders, rumbledethumps is a traditional dish made from potato, cabbage and onion. 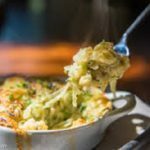 Sharing similarities with Irish colcannon or English bubble and squeak, it’s served either as an accompaniment to a main dish or as a main dish itself. If you’re looking to try some rumbledethumps head to a traditional Scottish pub in either Jedburgh, Hawick or Lauder in the Scottish Borders area. Cranachan is a traditional Scottish desert made from a mixture of oats, cream, raspberries and whisky. 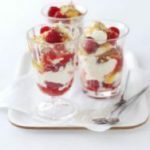 Although many prepare the dish in the kitchen, the Scottish way to serve cranachan is to bring dishes of each ingredient to the table so that each person can assemble their dessert to their liking. If you’re in Scotland and fancy trying some for yourself, just look for anywhere that advertises traditional Scottish cuisine. A staple desert throughout the country, cranachan used to only be available in the summer but, thanks to its continued popularity, it’s likely to be found all year-round now. Edinburgh – Edinburgh Castle Rock. The third Scottish dish on the tour brings us to Edinburgh, for Edinburgh Castle rock. 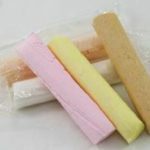 A Scottish sweet, it’s different to the type of rock you would normally associate with a traditional British seaside, with a soft and crumbly texture that’s somewhere between candy and chalk. Rumour has it, this sugary stick was made by accident, after the sweet maker Alexander Ferguson came across an old tray of sweets he’d forgotten about for months. He tried a piece and found it delicious; thus Edinburgh Rock was created. The rock can be purchased from any good sweet shop in Edinburgh for the true authentic taste. 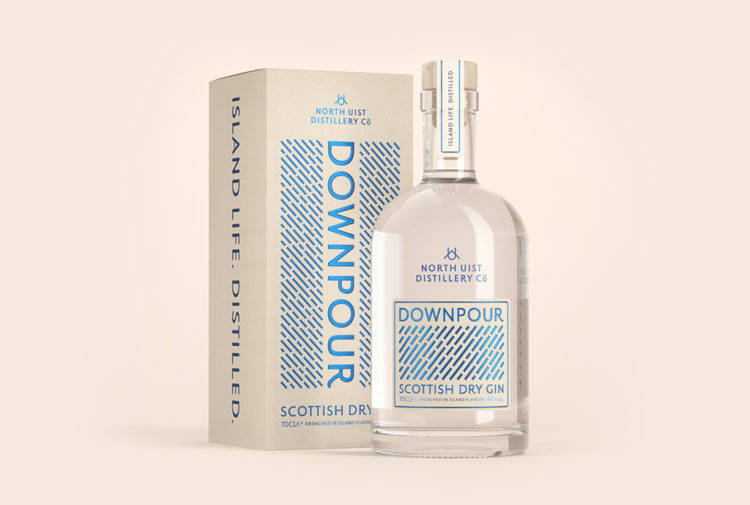 And, depending on what tickles your taste-buds, comes in a variety of different flavours, including peppermint, ginger, rhubarb, strawberry, banana and even Irn Bru (well, this is Scotland after all). 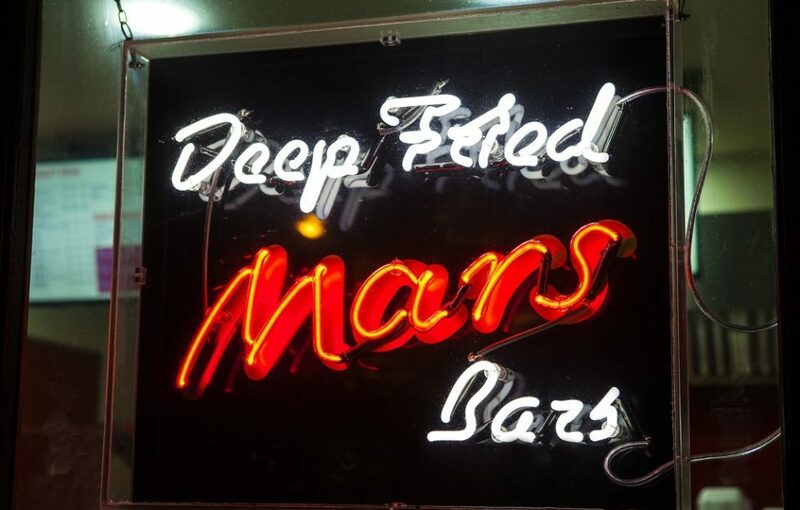 Aberdeen – Deep-Fried Mars Bar. Originating in Scotland’s’ fish and chip shops, the dish is said to have been first created in the Carron Fish Bar in Aberdeen. Since then it has surged in popularity due to widespread media coverage. 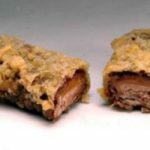 Consisting of a regular Mars bar fried in a batter typically used for deep-frying fish or sausages, each rich, melty mouthful packs a sickly sweet punch that continues to divide opinion across the country. The bar can be purchased from most fish and chip shops throughout Scotland, but for the most authentic experience head to the Carron Fish Bar where it all began. You can find it a little south of Aberdeen in Stonehaven. The Stargazy pie is a Cornish dish made of baked pilchards or sardines, along with potatoes and egg, all covered with a pastry crust. What really makes this pie stand out is the fish heads that poke through the crust as if they’re gazing at the stars, giving the pie its name. Created in Mousehole, Cornwall, the Stargazy pie is held dear by the locals, with an annual celebration held in its honour every Christmas at The Ship Inn. Each year this local pub gives away Stargazy pies and locals dress up as the fisherman who, according to legend, created the very first pie. The next dish on our list comes from Dorset. Dorset Blue Vinny is a traditional blue cheese that’s been made in the county for over 300 years and gets its name from a local Dorset term related to the old word ‘vinew’, meaning to become mouldy. It’s a hard and crumbly cheese made from skimmed cow’s milk and it packs a strong, punchy flavour. The cheese is so famous in the Dorset area that there’s even a pub named after it, so where better to try the cheese for yourself? The Blue Vinny pub can be found in Puddletown near Dorchester and serves the Blue Vinny cheese with many of its dishes. Cross the border into Wales and you’ll find this Welsh staple. Laverbread is a Welsh speciality made from seaweed and is considered a delicacy throughout the country. A special type of seaweed called Porphyra is washed then cooked slowly for around five hours until it becomes a puree. This is then blended with oatmeal and fried to create the laverbread. 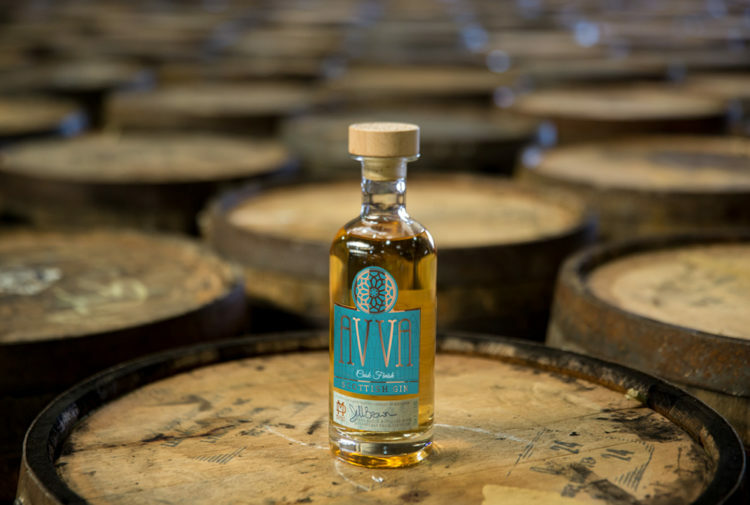 Although perhaps not to everyone’s taste, laverbread is packed full of protein and vitamins, making it a nutritious addition to a meal. Best served as a snack or with a cooked breakfast, there are a number of places in Wales where you can try laverbread for yourself. Ashton’s fish stall in Cardiff Central Market serves it by the tub, so you can try it there or take it home for an immune-system boosting breakfast in the morning. The second Welsh dish on the list, the Glamorgan sausage is a vegetarian sausage made from cheese and leeks wrapped in breadcrumbs, usually served with mashed potatoes and gravy. A traditional Welsh dish, the sausages were originally made with Glamorgan cheese but due to the near-extinction of the Glamorgan cattle from which it was produced, the sausages are now usually made with Caerphilly cheese instead. For those looking to try the dish, your best bet is to venture to the small Welsh town of Cowbridge, in the heart of Glamorgan. Head to The Cross Inn on the outskirts of the town; it’s renowned for its excellent Glamorgan sausages, which are made using traditional local ingredients. Surrey – Maids of Honour tarts. Back to England for the next dish on the list, the Maids of Honour tart is an English baked tart made from puff pastry and filled with almond-flavoured curd cheese. The tart is said to date back to Tudor times when King Henry VIII found some of the Queen’s Maids of Honour eating the tarts at his Richmond Palace and demanded to taste one himself. The story goes that he found the tarts so delicious, he decided to name them after the maids. Nowadays you can still find the tarts being made in Richmond, where Henry VIII first tasted them. The Newens Maids of Honour Tea Rooms and Bakery on Kew Road continues the tradition of making the pastries using the original baking methods, so there’s no better place to try them. One of the more common dishes on the list, cockles are a range of shellfish species, which can be found all around the coastline of the British Isles. Not only a popular seaside snack for many years, cockles were also sold by merchants outside London pubs. Without any access to weighing scales, they’d instead use a pint glass to measure out their wares. These bite-sized treats proved so popular in the city that they’ve been sold everywhere by the pint ever since. If you fancy trying cockles in London, Borough Market should be top of your list. Sold by multiple fish mongers throughout the famous marketplace, they’re brought in fresh, boiled, then seasoned with salt and vinegar for the perfect snack. Moving up the map towards Bedford, the Bedfordshire Clanger is a pastry like no other. At one end it has a savoury filling full of meat, potatoes and vegetables, while at the other end you can find a sweet filling, typically made up of fruit. This unique dish dates back to the 19th century and serves as both a main course and dessert in one. After declining in popularity in recent years, one of the few places still making and selling this pastry is Gunns Bakery in Sandy, Bedfordshire. Dubbed as home of the Bedforshire Clanger, Gunns has been open for nearly 100 years. The bakery offers a selection of different fillings for their clangers, including gammon and potato with apple, beef and ale with rhubarb and custard, minced lamb with jam, and vegetable curry with mango. The next dish on the list is Parkin. Essentially a Yorkshire spin on gingerbread, this sweet, baked delicacy is made using butter, honey, flour, oats, treacle and ginger with a moist, sticky topping and a rich treacle taste. Although traditionally eaten on Bonfire Night, Parkin is available in most tea rooms and cafés in Yorkshire all year-round. Consisting of a pickled egg wrapped in black pudding and sausage meat, rolled in breadcrumbs and then deep fried, a Manchester Egg is one for lovers of black pudding looking to try something new. First created in a pub less than 10 years ago when a local punter started experimenting with a pickled egg and a packet of crisps, the egg became so popular around Manchester that the creator had to move its production to Manchester eatery, The Soup Kitchen. Those wanting to try the egg can find the restaurant in Manchester’s Northern Quarter. Travel west to Liverpool and you’ll find Scouse. Scouse is a traditional Liverpudlian stew made from either beef or lamb. Short for lobscouse, the dish was commonly eaten by sailors throughout Northern Europe who brought the dish to Liverpool, where it became extremely popular. So popular in fact, that it led to the colloquial term of Scouser, a name derived from the dish and used to describe a Liverpudlian. Still widely popular in Liverpool, most pubs and cafés in the city serve scouse. However, few make it better than Maggie May’s on Bold Street. Either sit in and eat at the café or purchase the scouse by the pouch to enjoy later and discover for yourself why the dish is still so popular. A hop on the ferry to Northern Ireland will take you to the next stop of the tour, where you’ll find yellowman. Yellowman is a chewy toffee-textured honeycomb that’s produced in Northern Ireland and traditionally sold at the Auld Lammas Fair, the area’s oldest and most famous traditional market fair, having been held annually since the 1600s. 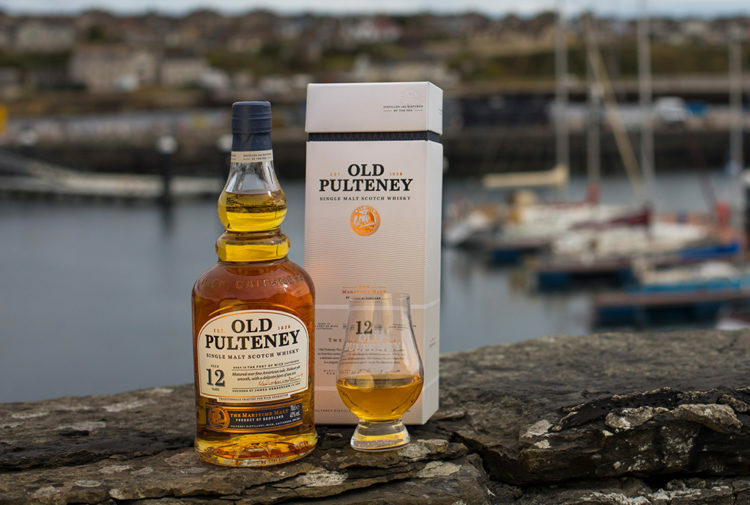 For those wanting to taste this local delicacy and immerse themselves in Irish tradition, the fair is held on the last Monday and Tuesday of August in Ballycastle on the north east coast of Northern Ireland. Travelling back to Northumberland for the last English stop on the tour and you’ll find singing hinnies. A singing hinny is a scone-like griddle cake, traditionally made throughout the North East but particularly popular in Northumberland. They’re made with flour, butter, lard, currants, salt and milk, with baking powder added to make them rise slightly when they‘re cooked on a griddle pan. The tale goes that the cakes get their name from the ‘singing’ noise the cakes make as they cook in the fat. Extremely popular in the area, you won’t have to look too far to find these delicious cakes, as they’re sold by most cafes and bakeries in Northumberland. They can be eaten either alone or with cream and jam for an extra indulgent treat.